Bath and Alkmaar are two historic cities, linked for over 70 years. In that time, thousands of our citizens have travelled back and forth, making friends, working on projects and activities together, and finding out about each others' country. We celebrate and enjoy the opportunities our link creates by supporting friendship, fun and fellowship between our two cities, and more broadly between the UK and the Netherlands. ALKMAAR 70 WEEK IN PICTURES on our Facebook Page. Our role: We encourage links between people in our two cities, enriching both communities. Through local social activities we act as meeting point for all Dutch people who have made their home in and around Bath, and for anyone locally who has an interest in the Netherlands. Why Bath & Alkmaar? The story behind the Bath - Alkmaar link is inspiring (click here for the full story). We work closely with our Dutch equivalent, the Alkmaars Uitwisselings Comité. Get involved and support us! 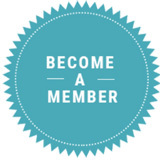 We are entirely voluntary: become a supporter-member and help grow our activities: click here for a supporter/member application form. Get in touch: If you'd like more information, contact one of the committee members or use the contact form. Next Alkmaar Café will be, April 3rd, from 7pm at the Rising Sun in Bath. We'll be sending out further details soon, meanwhile here is the link to their website: https://www.bathonice.com/ for more info.